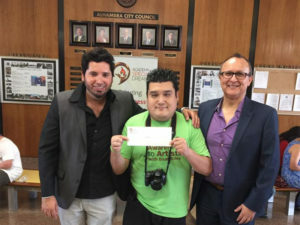 It is an honor to the Academy of Special Dreams Foundation to provide an Art Grant Award to Basilio Alonzo for his dedication to Marketing ans photography. This financial support will help you to continue your micro business in the arts. Congratulations on behalf of the Academy Board Members and our supporters. In an effort to assist the special needs community to achieve their artistic dreams, the Academy of Special Dreams will offer a limited number of cash scholarships to those participants who submit their artistic expressions in the competitions sponsored by the Special Academy.